in person and via live stream worldwide. While each session is unique, participants share a common theme for their experience: deep relaxation, sense of peace and gratitude and insight. Date, time and location are selected specifically for each client. Cansu Bulgu is a visionary, artist and mentor. She works with Sand as her primary medium, travels globally, and through meditation, meaning no thought or pre-visualization, she creates one-of-a-kind-in-the-world large scale contemporary fine art following her signature process. For her highly personalized work, she offers "Sand Sessions" one-on-one with her clients or as a group on location anywhere in the world, both in person and via live stream. Each "Sand Session" is a unique offering by itself and brings through different gifts for each person, yet the common theme shared by all clients are a sense of immense peace and gratitude as well as deep relaxation of the body and mind. Cansu has received several awards for her truly original work and has been published both in the US and internationally. She is also a photographer, interpreneur™, cartoonist, writer and poet. Extending you an "Invitation to Stillness through Sand Sessions"...Relaxed mind, creative mind... 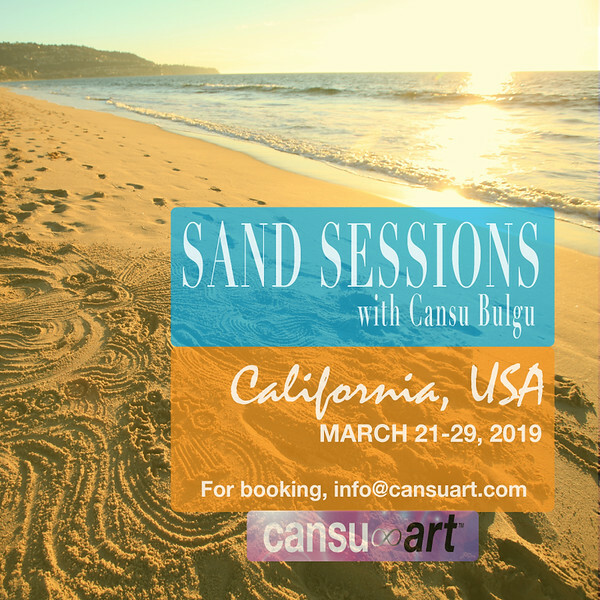 If you don’t have the opportunity to sit with Nature, let us bring Nature to you through Cansu∞Art Sand Meditation. Learn more about how you can bring this special retreat to your office and support your teams’ wellbeing. For more information and booking, please email us at info@cansuart.com. Why Do I Travel Globally To Create This Unique Art Especially For You? Food tastes differently in different parts of the world as each location has its own very unique energy imprint. We experience this variety and uniqueness through our five senses in form very easily. Just as food tastes differently Sand is very different in different parts of the world and also depending on where it comes from. Earth Sand which comes from a quarry, for example, works differently than Water Sand which comes from the Ocean/Beach or Air Sand which comes from the desert. And, just as food made consciously with Love, especially for you tastes differently so does any creation that comes from Stillness, made especially for you. I have Sand~drawn in North America, South America, South Africa, Middle East, Europe, and Asia. 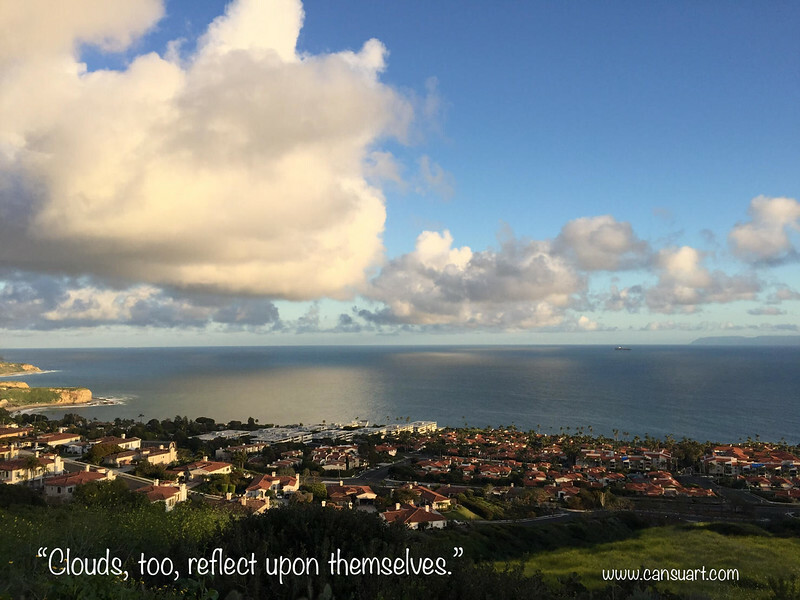 I continue to travel globally and offer this inspired work from Stillness and for Stillness. Someone can describe a particular dish for you in the most elaborate way, however, even the best explanation would not be able to replace the actual experience of you tasting it for yourself. Please let me know if you are interested in having me draw for you and create your One-of-a-kind Contemporary Sand Art ~ from Stillness. "To experience Cansu's work...well, you need to experience it!" We ship globally & offer personalized sessions via livestream for our clients outside of California as well as travel to their inspired location.